Showtime Toilets and Showers is a privately owned and operated business. Our vision is to provide the highest quality, best presented and cleanest mobile Toilets and Showers for the event industry. We are a highly respected supplier of quality specialised mobile toilet and shower facilities for all types of events ranging from high profile corporate functions, public displays,sporting events, weddings and emergency events, Military exercises right down to private parties at home. 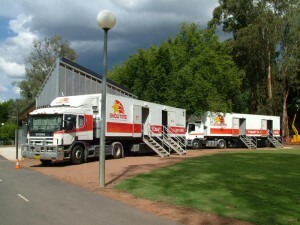 In fact we can provide units for any function where additional facilities are required throughout NSW, ACT and QLD. 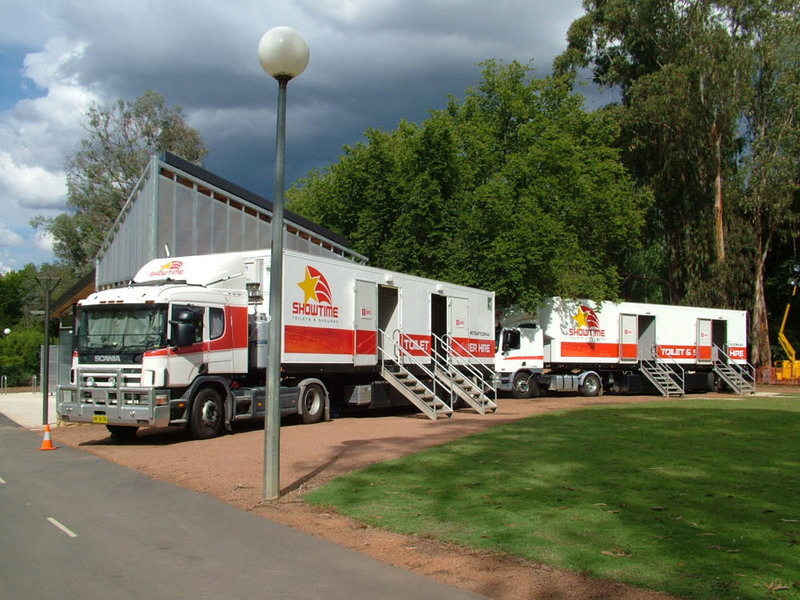 Our facilities are modern and the best of this type of mobile facility. They are constructed to all the applicable Australian Standards, are clean, neat, and completely self contained.A dedicated driver/operator is assigned to each mobile facility to ensure they are fully serviced, cleaned and maintained. Our range of Portable toilets designed for small event, private parties at home, weddings etc. These units are complete with hand soap dispensers, solar LED lighting, and are completely hands free operation. The Portable showers are designed for home use particularly when undertaking home renovations.